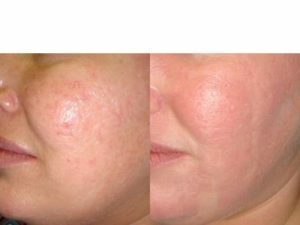 Diamond Tip Microdermabrasion is a skin-freshening technique which helps to repair facial imperfections such as fine lines, blemishes and resulting scarring, age spots and sun damage. As we age, cell turnover slows down, resulting in dead skin cells building up on the surface of the skin. Fine lines and wrinkles become more noticeable, the skin appears dry, dull and grey. The procedure consists of exfoliation of the outermost layers of the skin. The tip of the wand is made of natural diamond chips, which polish skin and remove dead skin cells, allowing smoother, fresher skin to be uncovered. 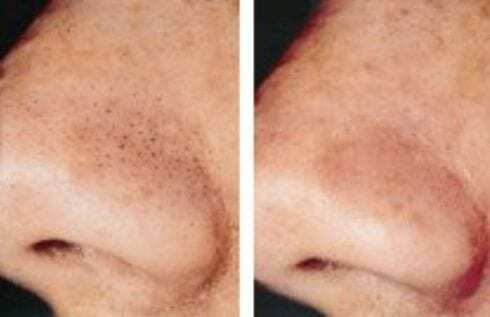 A customizable vacuum-like process helps to stimulate microcirculation and lymphatic flow, increasing the blood supply that provides essential nutrients needed for skin rejuvenation. A series of six treatments is recommended to get the best results.